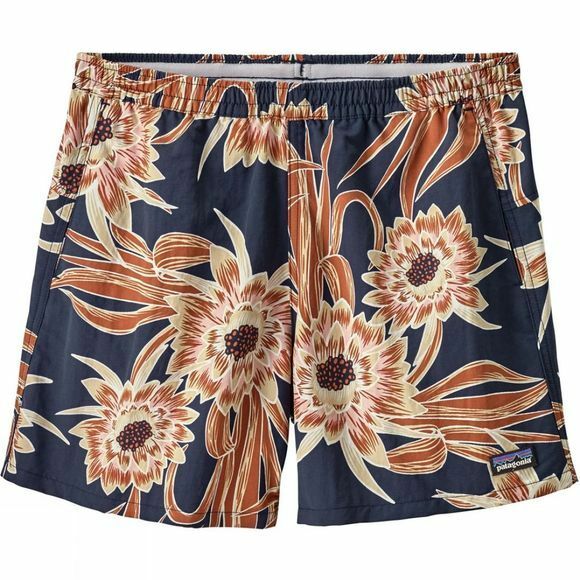 A classic style, the Women's Baggies Shorts from Patagonia are made of 100% recycled nylon fabric and is Fair Trade certified sewn. The DWR coating repels light rain during impromptu showers, while the mesh-lined pockets easily drain water after a dive in the sea. The brushed-elastic waistband with internal drawcord secures the shorts comfortable and a relaxed fit and back yoke design offers a casual vibe.